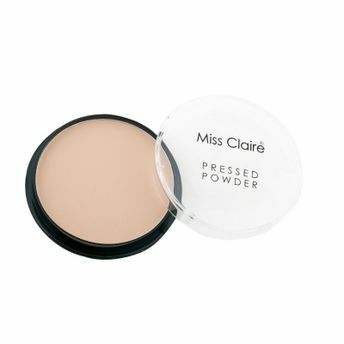 Miss Claire Pressed Powder is an ultra-fine silky powder that smooths complexion and helps set your makeup flawlessly. This super blendable pressed powder is enriched with silk, Vitamin E, UVA and UVB sunscreen to give you a natural sheer coverage without weighing you down. Explore the entire range of Compact available on Nykaa. Shop more Miss Claire products here.You can browse through the complete world of Miss Claire Compact .Alternatively, you can also find many more products from the Miss Claire Pressed Powder range.